Thank you to our partnership with local organizations and to your generous donations we have been able to help in many ways! With these programs, you can help us fight against the shortage of food, the lack of medicines and medical supplies and the resurgence of diseases that had been controlled through vaccination and prevention systems. 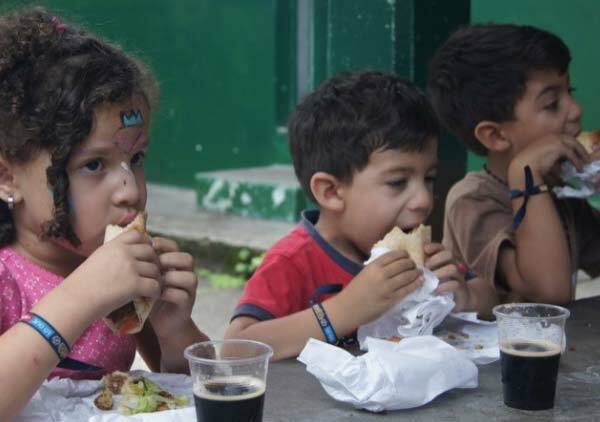 We are fighting against hunger and malnutrition that are causing severe problems in Venezuela. Eighty percent of the population in Venezuela cannot eat the three meals a day due to a severe shortage and high cost of food in the market. This situation particularly affects the most susceptible populations such as the elderly and children, resulting in advanced stages of malnutrition. Decrease the shortage of medicines and medical supplies. Prevent complications of chronic diseases. Decrease the resurgence of diseases that had been controlled through vaccination and prevention systems. 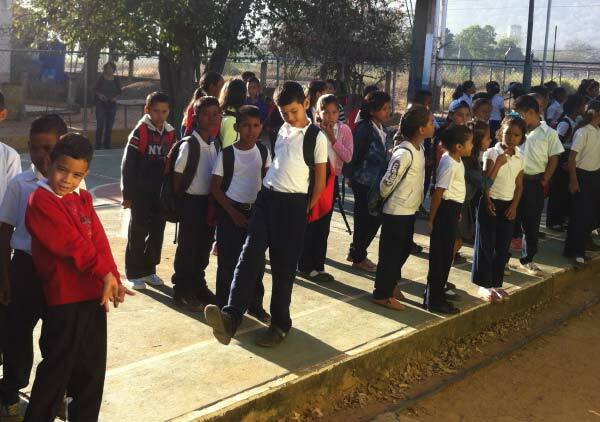 With the current high inflation hitting Venezuela, low-income parents have difficulties sending their children to school because of the lack of money to purchase the school uniforms, shoes, backpacks, books and others requirements. With your contribution, we will be able to help low-income children to get what they need to attend school. Formula for our children: This program donates formula to hospitalized kids in nationwide hospitals. We identify Venezuelan organizations to help us develop programs to provide specific needs in the areas of health, nutrition, and education. These organizations along with partners and volunteers will deliver the resources to the beneficiaries. This program partners with schools located in the most rural areas of the country. Our goal is to provide at least one meal a day for every child. For $100, we can provide lunch for one child for an entire school year. This program supports school programs that open their school cafeterias during the weekends and holidays to provide lunch to their students. Our goal is to ensure that children continue to receive nutritious meals even when school is not in session. For many children in these communities, this school lunch might be the only meal they have all day. This program donates staple food supplies to orphanages, nursing homes and to organizations that cook for the homeless. This program donates formula to hospitalized kids in nationwide hospitals. Is an infection of the skin that occurs due to lack of hygiene. It is highly contagious. Due to a lack of personal grooming products this infection has been reported in families, schools, and hospitals, affecting children and adults. Your contribution will help us to purchase Ivermectin, the treatment for this disease. The shortening of medications to treat hypertension affects the survival of these patients, predisposing them to have heart attacks (myocardial infarctions), strokes, heart failure and even death. With your help, we can purchase some of the medications used to treat this disease. The cognitive system needs vitamins and good nutrition to develop. Faced with the immense food crisis and the lack of supplementary vitamins, preschoolers are already showing signs of psychomotor retardation. Folic Acid, Ferrous Sulfate and multivitamins with Iron are needed to help prevent this. With your contribution, you can help us to provide these basic supplements. The current drug crisis also reflects an absence of basic antibiotics that should be available in hospitals and care centers. This results in increased deaths in patients who could be treated if antibiotics were available. With your contributions, we can purchase antibiotics that can help to save the life of treatable patients. There is currently no supplementary milk available for newborns. Healthy newborns or those with digestive problems show severe under-nutrition levels. 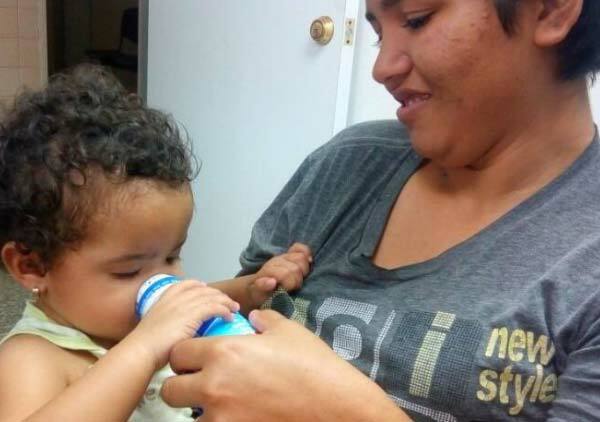 Formula and milk supplements are needed, with your contributions you can help these infants. is an Infection that it is spread by the bite of an infected mosquito. People catch malaria when the parasite enters the blood. The parasite causes a deadly infection. Kids, pregnant women, and seniors citizens are at high risk for this deadly disease. “Fundación Proyecto Maniapure” works with communities located in Bolívar State, where the native indigenous (Indios Panares) and people who work and live there are vulnerable to be infected. During the month of April, 209 NEW patients were diagnosed with Malaria. Help us to prevent Malaria, purchasing through Smile.Amazon.com, mosquito repellent and protection. Your monetary contribution can help us also to purchase the anti-malaria medications. Burned patients’ needs special topical treatment to prevent infections and undesirable complications, such infections. Silver sulfadiazine is a special cream use to treat burned patients that help them to scar appropriately. Please consider making a donation to help these very sick patients. Other supplies include treatment for nephrology patients, psychiatry patients, as well as combs, bed centers, and supplies for the elderly. "@cuatroporvzla Quiero dar mi más sentido agradecimiento a estas grandes personas que de manera anónima prestan su ayuda desinteresada. ¡Dios los llene de bendiciones!" "Muchas gracias a @cuatroporvzla por las donaciones realizadas. Me han llegado sus medicamentos de manera muy oportuna y necesaria. Felicitaciones por su labor. Recomiendo a la fundación." 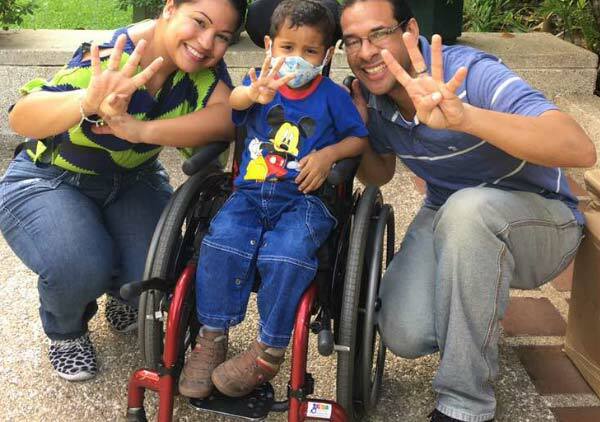 "De nuevo hago público para agradecer a los amigos de @cuatropovzla y su consecuente aporte para con esta gran familia de Refugios Pana. Semanas atrás fue recibida su donación." "A mí también me ayudaron con antibióticos, inhaladores, sondas y medicinas para la diabetes, etc. Todo para mi papá recientemente fallecido. Gracias por tanto en tan difíciles momentos y circunstancias." 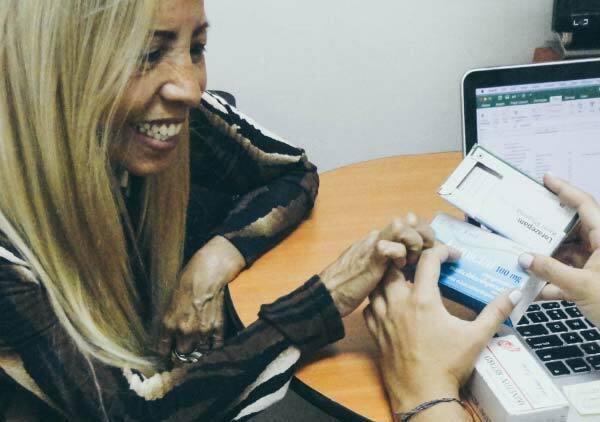 Muchas gracias, que Dios las siga bendiciendo y siga tocando los corazones de los amigos de Cuatro por Venezuela. From your friends at the Newcomer Center. Thank you for taking the time to "meet" my students. We were so happy to be able to help.